In a world increasingly focused on cannabis as a profit commodity and tax revenue source, one company — and one woman — stand apart. It was in 2011, after having successfully treated herself and her husband using medical cannabis oil, Mara Gordon decided that not enough was being done to educate doctors and medical professionals regarding the efficacy of medical cannabis. Mara Gordon – Founder, Aunt Zelda’s, Calla Spring Wellness, and Zelda Therapeutics. Mara specializes in the development of treatment protocols utilizing Bio Pharmaceutical grade cannabis extracts for seriously ill patients in California. She co-founded of Aunt Zelda’s, Calla Spring Wellness, and Zelda Therapeutics in order to provide real outcomes for patients with serious diseases. Gordon sits on the advisory boards of Daya Foundation, CannPal, and Patients Out of Time. She has presented at multiple CME-accredited medical conferences, including Patients Out of Time 2014, 2016, and 2017, and at conferences in more than 10 countries. These include CannMed held at Harvard Medical School in 2016 and 2017, CannTech 2016 in Israel. Her work is featured in the upcoming documentaries, “Weed the People”, “Mary Janes: Women of Weed”, and in Joe Dolce’s book, “Brave New Weed”. She has presented at multiple CME-accredited medical conferences, along with inaugural medical cannabis conferences in Australia, Costa Rica, Chile, and the Czech Republic, as well as other events throughout the United States. Aunt Zelda’s is a pioneering, data-driven developer of cannabis-based plant medicines. Aunt Zelda’s products are the result of years of research and development by founders, Mara Gordon and Stewart Smith, in consultation with knowledgeable physicians and world-renowned researchers. Utilizing proven time-tested extraction processes improved with modern technology, Aunt Zelda’s offers organic medicines of precisely measured potency and purity that empower patients to dose to the milligram and unlock the therapeutic potential of cannabis. Gordon and her staff work closely with doctors and practitioners to gauge the real-world efficacy of various treatment protocols based on her company’s cannabis oil. Aunt Zelda’s medical protocols involve only sublingual consumption of its proprietary cannabis oil, not smoking, vaping, or ingestion of edibles. The company employs ethanol extraction and also produces an infused olive oil topical. According to Gordon, sublingual administration produces the highest bioavailability of all consumption methods. Aunt Zelda’s mission is to alleviate patient suffering through medical cannabis. Aunt Zelda’s helps the person, their patients to live fulfilling and healthy lives. Aunt Zelda’s provide unmatched expertise in the correct use of medical cannabis matched to disease specific products with the highest purity in California. 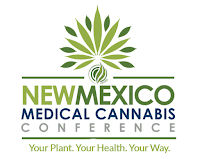 Gordon recently gave Cannabis News Journal an exclusive interview, explaining her passion for the medical efficacy of the cannabinoids and terpenes in cannabis and her effort to educate medical professionals for the 2nd Annual New Mexico Medical Cannabis Conference. Cannabis News Journal: What types of medicines do you produce? Mara Gordon: We produce full-strength cannabis extracts, cannabis-infused olive oils, and cannabis-infused coconut topicals. The extracts are dispensed through oral syringes and are intended for patients requiring very high doses. The olive oils are dispensed through a glass dropper bottle with a gradated dropper. The cannabis-infused coconut topicals come in small metal jars and are intended for topical use only, not ingestion. Cannabis News Journal: What is the potency of your medicines? Mara Gordon: Our full-strength cannabis extracts are generally between 55-80% (550-800mg/g) total cannabinoids. Most extracts also contain between .5-1.5% terpenes. Our infused cannabis olive oils are between 1-5% (10-50mg/mL) total cannabinoids. To achieve the 50mg/mL potency, we add extract to our standard infused olive oil. In these cases, the same strain is used for the extract and the infused olive oil so effects are predictable. The cannabis-infused coconut topicals are standardized to 5mg/g. The topicals also include 10 added essential oils to provide constituents which enhance effectiveness, including penetration through the skin. The proportion of THC to CBD, and vice versa, is 20:1 – 25:1 in most medicines we produce. Most patients get two medicines so they can easily reach their recommended doses. Cannabis News Journal: Are your medicines lab-tested? Mara Gordon: Every batch of medicine we produce is lab-tested to identify cannabinoid and terpene levels as well as confirm absence of contaminants. Every medicine we sell features a label showing dominant cannabinoid and terpene levels. Cannabis News Journal: Are your medicines organic? Mara Gordon: While cannabis itself cannot be formally certified as organic, we contract with growers who do not use pesticides, herbicides, or other inorganic chemicals during the growing process. We also lab-test flower to ensure an absence of molds, mildews, and pesticides. For extracts, we use certified organic ethanol as the solvent. This solvent is evaporated out during the manufacturing process, leaving only pure cannabis extract behind. For infusions, we use certified organic olive oil. For topicals, we use certified organic coconut oil and either certified organic or wildcrafted essential oils. Cannabis News Journal: Prior to Aunt Zelda’s, you worked as a process engineer, helping Fortune 500 companies create intelligent software by utilizing the Rational Unified Process. How has that experience enabled you to take a detailed and scientific approach to medical cannabis? Mara Gordon: My role as a Process Engineer was to take complex problems and find workable solutions. For example, when HIPAA was first rolled out, we had to find a way to both inform and obtain consent from customers picking up their prescriptions. This was complicated by the scale as we had 1600+ stores to rollout simultaneously. There were multiple legacy systems from corporate acquisitions, and numerous other complications. At the same time, we had to address changing human behavior adding a step to a process that had been done the same way for decades - how a person picks up a prescription. Often times, these issues seem simple – add a keypad for people to sign acknowledgement of HIPAA privacy notice. In practicality, there were hundreds of separate requirements to implement requirement prioritization and dependencies. This may seem like a stretch to be relevant to what I do now, but it makes perfect sense. I have been working to understand dosing of cannabinoid-based medicines for different diseases. With that as the starting point, I looked at the various factors that are required to answer – 1. Accurate lab results to understand the medicine; 2. Extensive understanding of the patient’s medical history; 3. A system to collect the data, and; 4. Feedback with subjective and objective information. It is important to stress I depend on scientists and medical professionals to do the analysis. Cannabis News Journal: Do regulations limiting cannabinoid potency and content limit or even prevent a patient from being allowed beneficial use of medical cannabis as a medical treatment? Mara Gordon: Yes. As I will be addressing in my upcoming presentation, whole plant medicines work better than pure compounds. Though I will not be speaking about dosing this time, the difference in individual requirements is huge. One person may require 35mg of THC, and another person with the same diagnosis may require 150mg or more. Also, the cost becomes prohibitive when a patient is required to purchase much larger volumes of products to achieve a therapeutic dose. It is bad for the patient, and bad for the environment. All the excess packaging is a serious problem. Mara Gordon: I would tell the policy makers to consider that medical and recreational both use the same raw material to create products, but that is where the similarity ends. A medical patient uses cannabinoid medicine to treat a disease, and may experience side effects that include psychoactivity. With adult use, the psychoactivity is the intended effect. They should be two separate discussions. Cannabis News Journal: As a leading expert on medical cannabis, what are your thoughts on Pediatric Oncology & Medical Cannabis Use for Antiemetic? And should states with medical cannabis laws allow for medical cannabis use in hospitals? Mara Gordon: We have been treating pediatric patients with cannabinoid medicines since mid-2011, and have had very promising results. The objective is very personal, and sometimes families are only interested in us addressing the side effects of chemotherapies, such as nausea, vomiting, pain, inability to sleep. Other times, they wish to address the cancer itself. This is a personal decision, and one we leave up to the families and their medical teams. An example of this was 11-year-old boy who was undergoing a particularly harsh chemotherapy regimen, and having difficulty staying on schedule for the required 14 rounds of treatment. He wasn’t eating, had severe neuropathy. His family chose to use higher doses of THC-dominant medicine, and the oncologist agreed. By incorporating cannabis into his protocol, he was able to complete the 14 treatments on schedule, and achieve full remission. Would he be cancer-free without the cannabis? We have no way to know for sure, but he is still in remission five years later, and still using a small maintenance dose of THC and CBD. Cannabis News Journal: Any research or case studies you like to share from your own experiences with Aunt Zelda’s? Mara Gordon: There are many individual successes we have witnessed. One toddler came to us experiencing severe headaches because of an advanced astrocytoma. The medical team had decided to forego chemotherapy and radiation because of the stage and location of the tumor, and recommended hospice. Within hours, her pain had subsided, and within a couple of weeks, the family insisted on additional imaging. When the doctors saw the tumor was shrinking, they changed their minds. Now, it is four years later, and she is in school, shows no deficits, and has lived to be a big sister to two younger siblings. I consider this a win by any measure.